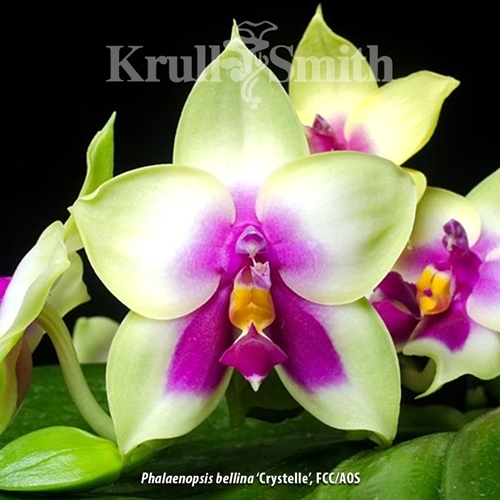 Awarded August 21, 2015 at the 22nd International Phalaenopsis Alliance Symposium, this cultivar just may be the most perfect Phalaenopsis bellina ever. Magnificent color, perfect form, beautiful fragrance, elegant flower presentation and a hard, heavy substance all combine to put this one high on the list of many serious collectors. The plant that I received was MUCH bigger than expected. This is a must buy!